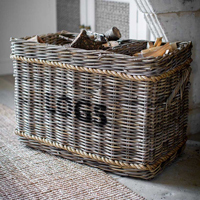 Chunky lidded rattan Storage basket with distressed leather hasps for that country look. 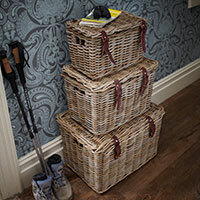 Set of 3 chunky lidded rattan baskets with shabby chic distressed leather hasps . 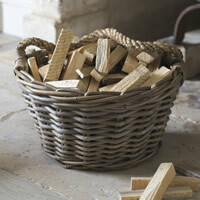 Buy small, medium and large and SAVE! 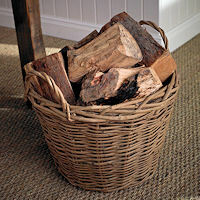 Large classic rattan Log Basket with an internal divider so you can store logs and kindling. 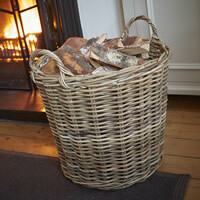 Generously sized sturdy rattan log basket with handles and hessian lining. 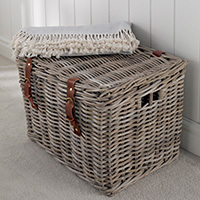 Makes for a great laundry basket too! 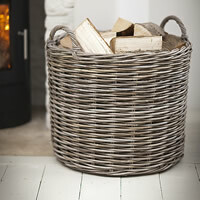 Stylish and generously sized round quality rattan log basket with carry handles. 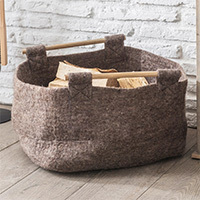 Rustic yet contemporary brown felt log storage basket with wooden carry handles. 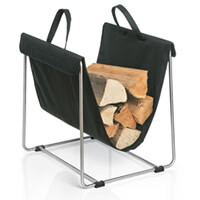 Stylish top quality stainless steel and fabric log store and carrier from our friends at Blomus in Germany.